Belgrade Plaza » Fantastic Student Offers! A great big welcome to all the new students joining Coventry this year! Here at Belgrade Plaza you can enjoy great student offers, from discounted prices for tickets at Belgrade Theatre, as well as special meal offers from our wonderful restaurants. 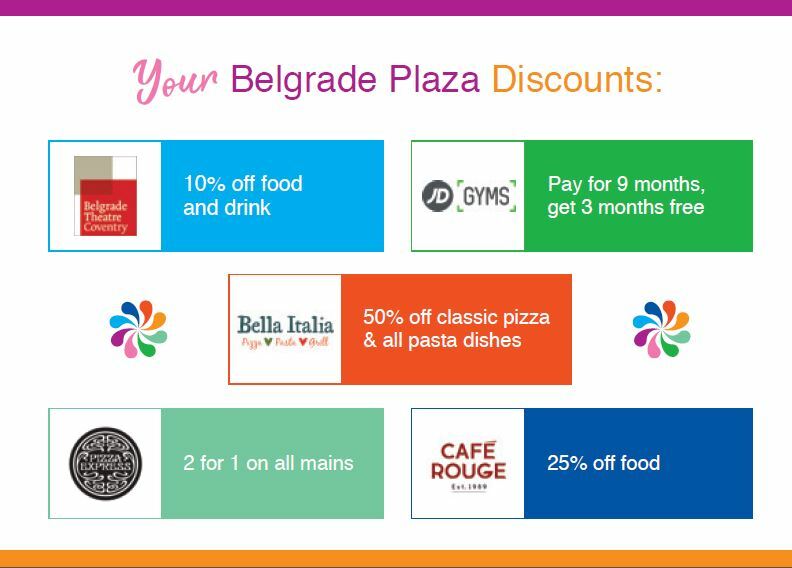 Check out the great discounts you can get at Belgrade Plaza! 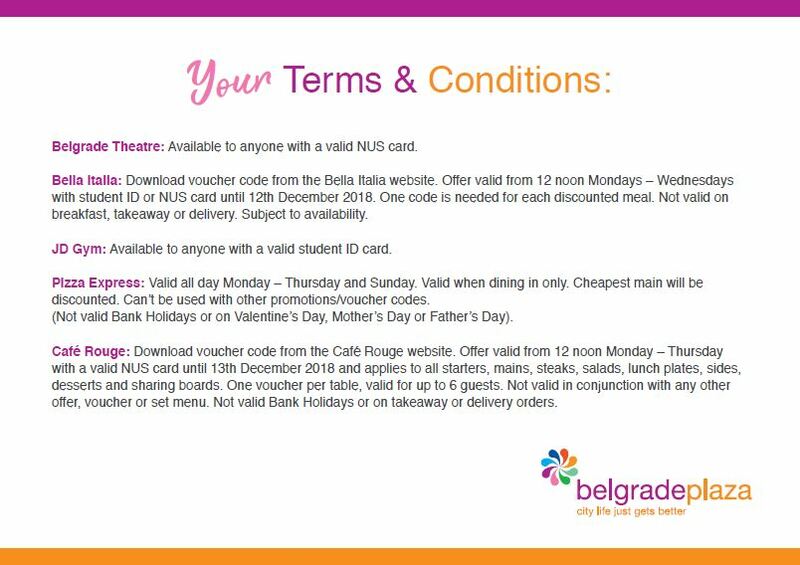 All you need to do is supply your NUS card or student ID card to claim the discount, and read the terms and conditions below to make sure you can use the discount.